Description: A blue… thing that clings to you constantly. Maybe it's just sad? 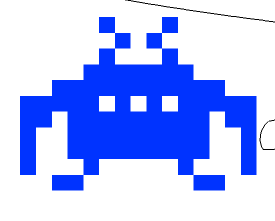 This item is a parody of Space Invaders.